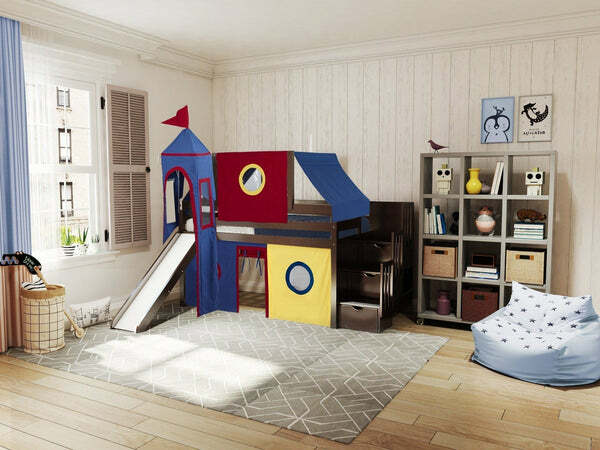 Sleep and fun with this low loft twin bed complete with 3 Drawer Stairway, Curtain, Top Tent, Side Tents, Tower and Slide. 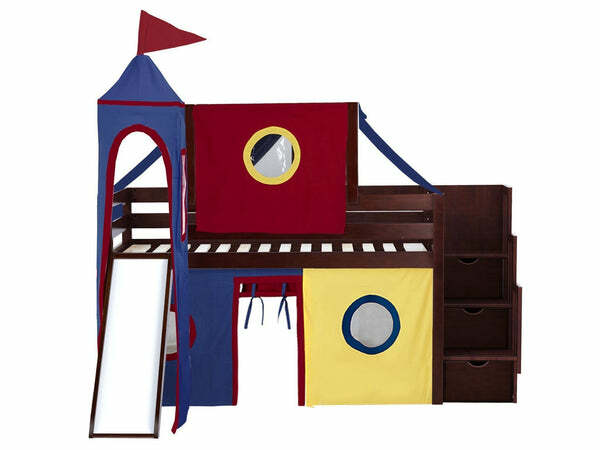 Jackpot Castle Bed in in a CHERRY painted wood. Red Yellow and Blue accessories made by Maxwood Furniture. Slide and Stairway can be installed on the right or the left side. 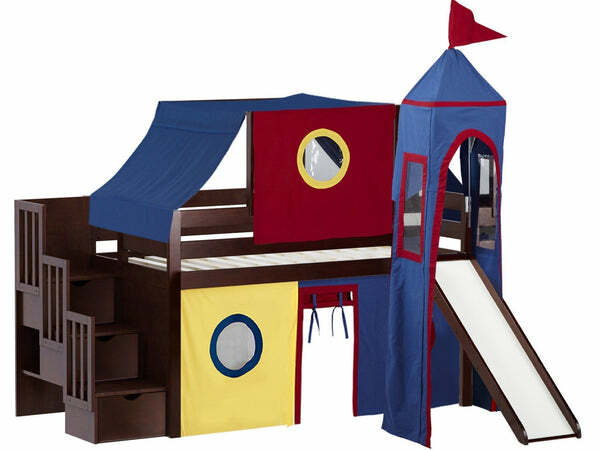 Sale is for Twin Stairway Loft Bed with Curtain, Top Tent, Side Tents, Tower and Slide only - excludes Mattress. 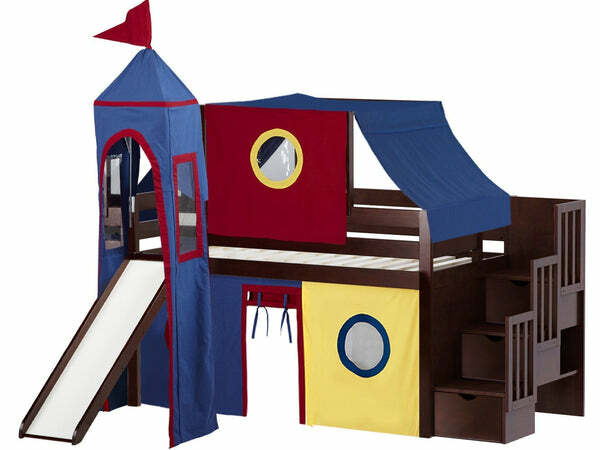 Set includes (2) Side Rails (1) Head Board (1) Foot Board (14) Wood Slats (4) Guard Rails on both sides for the Top Twin Bed (3) Drawers (3) Step Stairway access (1) Front Curtain (2) Side Curtains (1) Top Tent (1) Tower and (1) Slide. Total External Dimensions (space occupied in the room by the bed) is approx: 87 1/2 high x 98 wide x 84 3/4 inches deep. Slide extends 43 inches from the bed. The twin bed on its own measures approx 49 1/4 high x 80 wide x 41 3/4 inches deep - (This is not a bunk bed - it is a twin bed, loft style). Space under bed is approximately 32 high x 75 wide x 38 1/4 inches deep. See these Detailed Dimensions to ensure this bed will fit in your bedroom.